So to motivate me this week, i am re-arranging my studio/room. I have been wanting a new sewing machine for a few years, and this anniversary 160 Singer sewing machine is just divine if i had a spare £399 I would snap it up. Isn’t the Caitlin shearer original painting just beautiful I think I might have to purchase this unless someone else snags it before i do, It would look perfect in my new studio. Because I am still living at home and my sister has moved out dad has said i can buy the shelving unit to gain more space in the room so excited, i know its just shelves but i love nesting. Next Post D.I.Y. Illustrated Initial pillow. The sewing machine is amazing ! What a beautiful wishlist, I think I want all of these things too! I've always longed for a singer sewing machine! I just found your blog via Little Chief Honeybee and I must say how much I LOVE your blog!! You have the most beautiful little space here!! I love all of these finds, esp. that shelving unit + journal!! Very lovely!! PS I love your signature at the end of your posts!! Is that a font or your own writing? It is beautiful!! Amazing! I'd love that machine too. 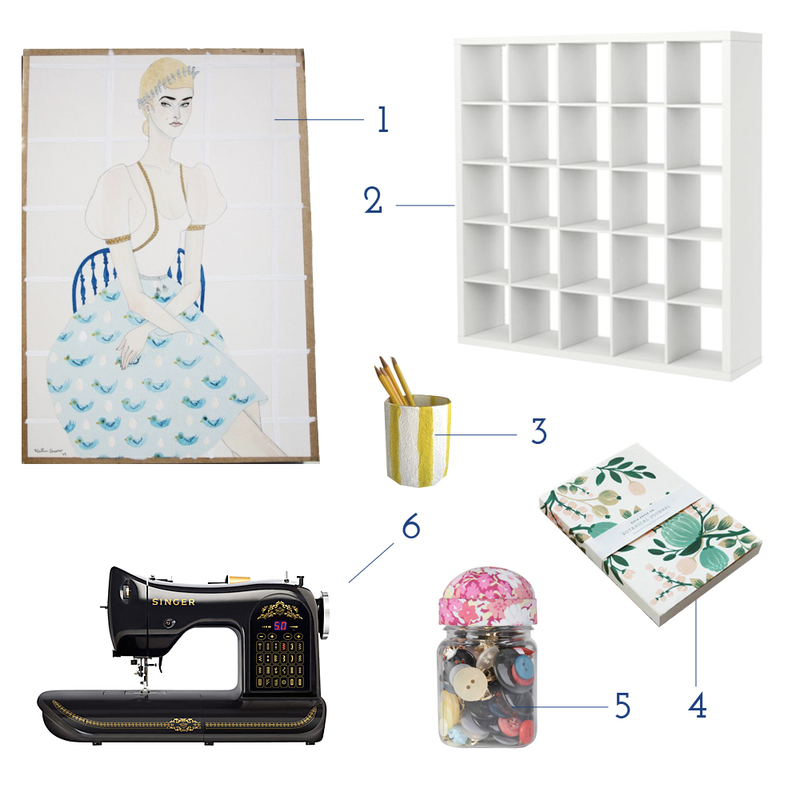 Looking forward to see your first craft using your new sewing machine! 🙂 However, maybe you can check one of my sewing machine here, kindly take a look at this link brother xl2600i.